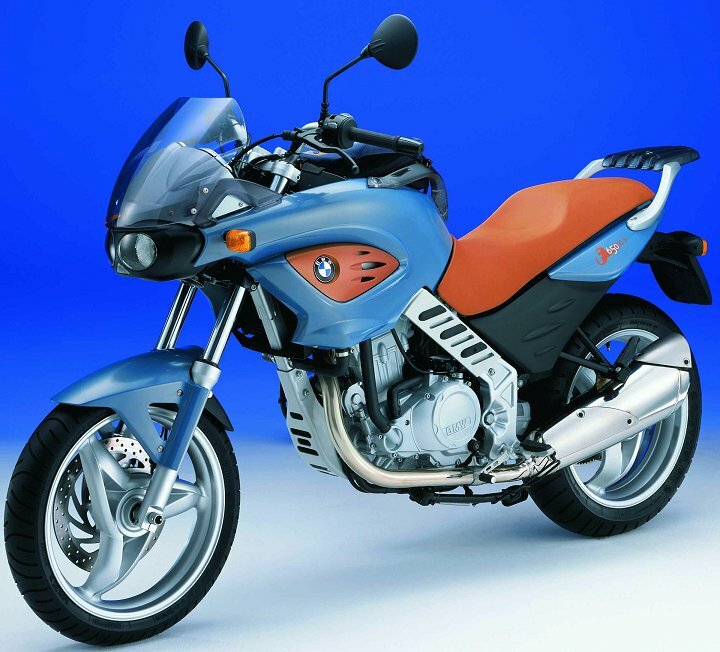 BMW has manufactured a 650 single for several years, but it is really a big, Dual-Sport, as opposed to a more street-biased machine. That will change in 2002, as BMW introduces the F650 CS, with a new frame, suspension and styling . . . and sportbike rubber. With belt drive and a single-sided swingarm, the new single is dramatically different than its siblings, and clearly more street oriented. With dramatic (and unusual) styling, and a low exhaust (reducing ground clearance compared to the other bikes) off-roading is not a real option on this new machine, but it may not matter. One interesting aspect of the CS is the storage compartment where the gas tank would be (the gas tank is actually under the seat). BMW provides accessories which will bolt or clip to this area, including a hard bag and other accessories. Interesting idea. No information yet on when the bike will be available or its MSRP.